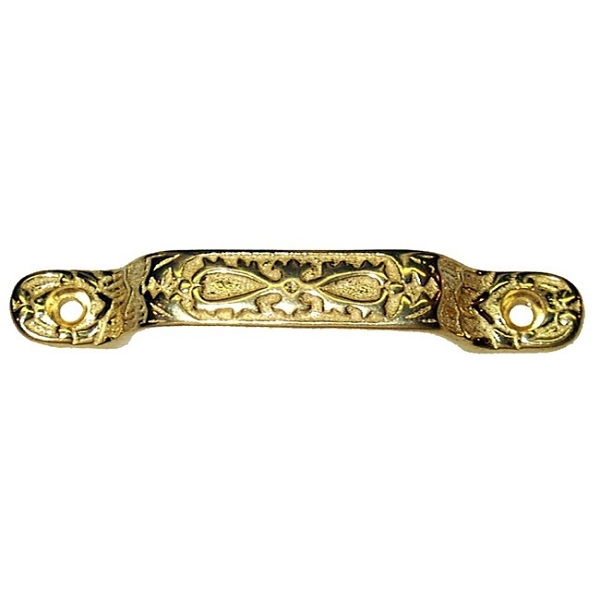 Ornate Victorian Drawer/Cabinet Handle (Solid Brass). 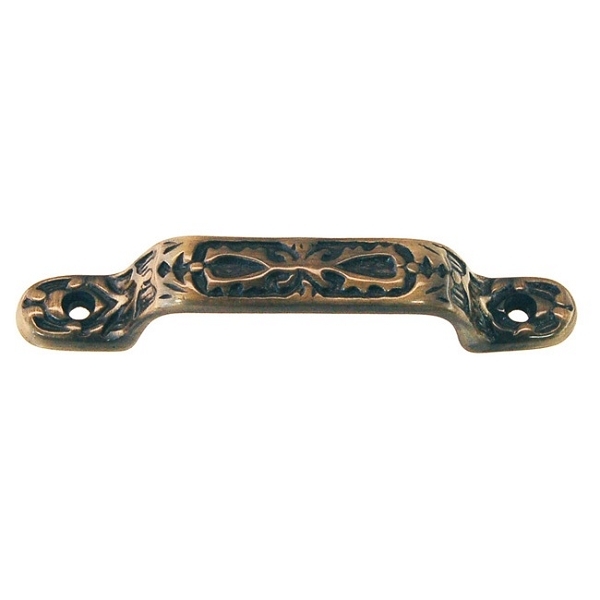 Measures 4-1/8 inch x 9/16 inch; 3-1/4 inch center to center. 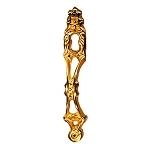 Available in Antique Brass (image 1) and Polished Brass (image 2).